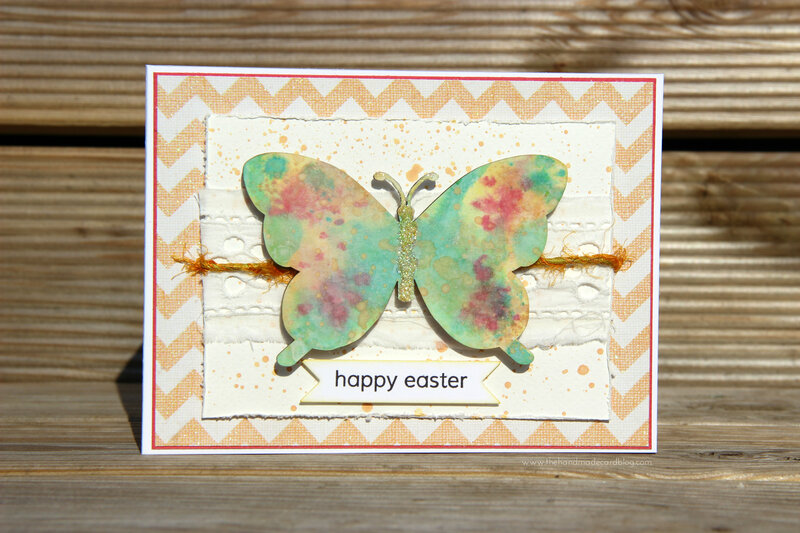 I have two cards to share with you today, one that I made last night and one that I made this morning..
First up we have the Easter Butterfly.. 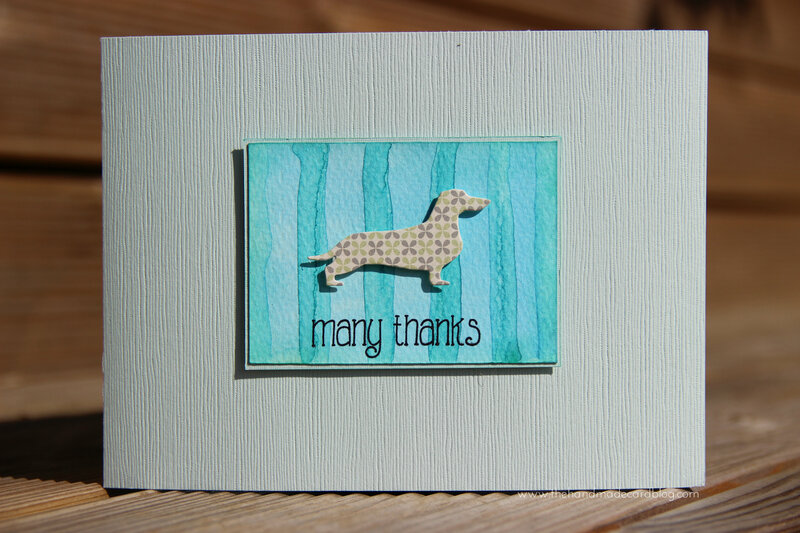 This card comprises of a few mats and layers, some distress inking and some water colour splodges.. This card features a water coloured background in stripes with Distress inks in Salty Ocean and Peacock Feathers.. love how this turned out! Might have to make some more backgrounds in different colourways! As always, thanks for stopping by..